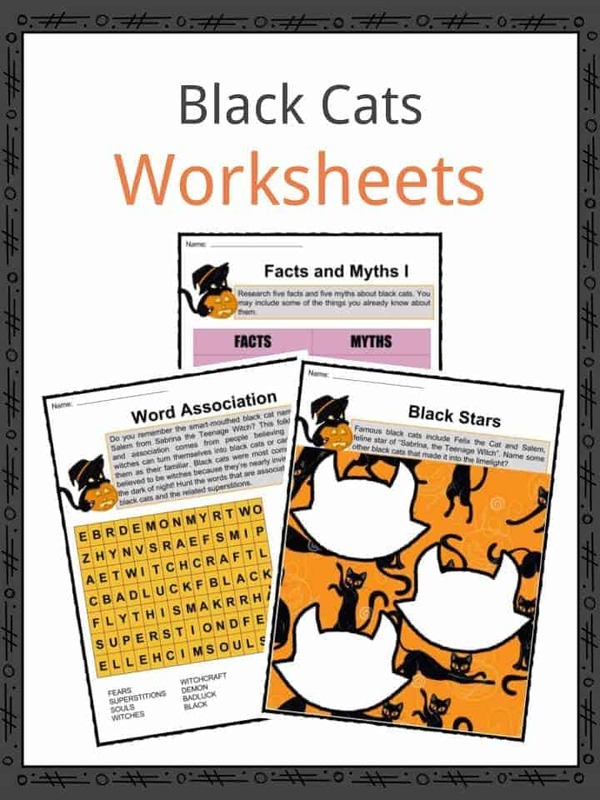 See the fact file below for more information on Black Cats or alternatively download our comprehensive worksheet pack to utilise within the classroom or home environment. 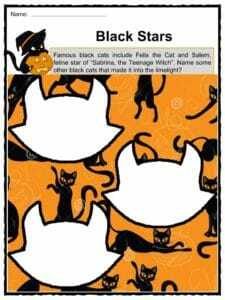 The belief that black cats bring bad luck is cultural. 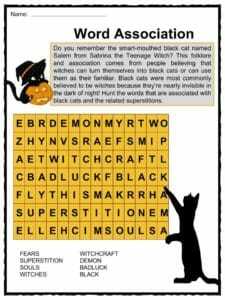 In most parts of the US superstitious people go out of their way to avoid crossing paths with a black cat. Furthermore, a funeral procession meeting up with a black cat is believed to forecast another death in the family. 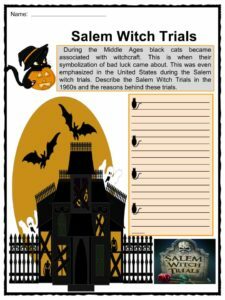 During the Middle Ages in Germany, it was believed that a black cat jumping on the bed of a sick person meant that the person would die while during the middle ages in England, black cats were believed to be demons who helped witches perform black magic. 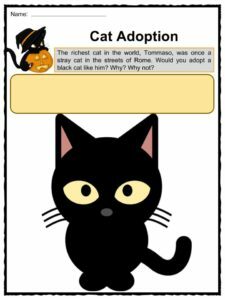 In contrast to this, in Asia and other parts of Europe, a black cat that crosses your path signifies good luck and to dream of a black cat is also lucky. In Scotland, a strange black cat on a porch brings prosperity to the owner. If you’re a single lady in Japan, owning a black cat is said to increase your number of possible suitors. 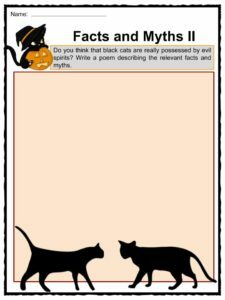 Due to a number of bad superstitions surrounding black cats, they are often in danger around Halloween. 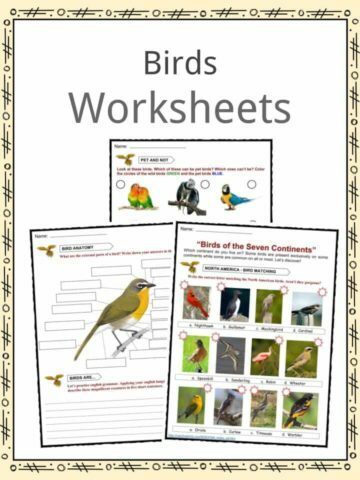 This is because there are a lot of very bad people in the world that like to hurt these precious animals just because of the misbeliefs surrounding them. 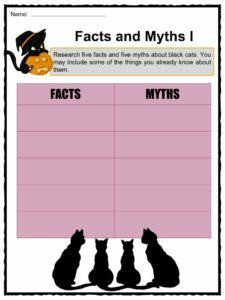 In fact, many shelters won’t even adopt out black cats in the weeks leading up to Halloween. This is probably our least favorite fact.